Taichung as Taiwan's Recreational Cycling Base: Michael Turton picks up this blogger's slack and provides an informative and detailed accounting of Taichung's best local cycling routes. Michael's observations are pure gold as his insights reflect the needs of the recreational cyclist who is not in training for competition, only for fitness and experience. Still, the only thing that really separates these routes from the hard and boring training loops, is the speed in which they are accomplished. 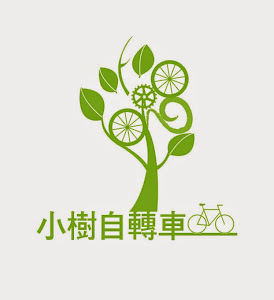 Please bookmark this page if your are new to cycling in Taichung. Tour de Tai-yawn is upon us: With all due respect to the athletes, I do not feel this event does cycling in Taiwan justice with its annual selection of boredom and blight. They have pared the TdT down to a mere five stages of touring Taiwan's worst cycling environments. Even today's Changhua County stage misses the best roads available. I doubt I will comment much more about this race until I have a reason to get excited. Taipei Cycle: In the hopes of shoring up a a soft market for bicycle exports, Taipei Cycle kicked off with optimism. I missed the show this year to be on a bike instead. It is okay, I think they survived without me. The one thing we can be sure of is that despite a soft market, this year's bikes will be more laterally stiff and less vertically compliant than last year's. Colnago used the event to unveil their flagship C60, which meets the stiffness and compliance requirements of a bike that wishes the stay current.